Special Blog - IRS is Updating Withholding & the Form W4! The IRS is changing the withholding methods – again. The IRS plans to release their first draft of the new W-4 form on May 31. As with other proposals and updates, they ask the public for comment and suggestions on the initial draft. Later on this summer, they’ll release a second draft of the new W-4 after receiving feedback. Before you panic, the changes are for accuracy, and everyone loves accuracy! The IRS’ goal is for everyone to break even when they file their taxes. Meaning, nobody owes the IRS, and they don’t owe any refunds. Breaking even has always been the intention, but taxes and legislature changes, so the IRS must adapt. This goal entails a very detailed and accurate filing system, so taxes are appropriately withheld from the get-go. For us common-folk, this would mean either receiving more or less on our paychecks throughout the year. That’s why it seems like there have been so many changes – the IRS is adjusting to recent tax updates and consistently striving to make the overall withholding method more accurate. Many aren’t happy about the idea of getting a smaller tax refund. Rightfully so, some people rely on that substantial return each year. However, the reason you’d receive a large refund is if you paid too much into taxes throughout the year. Meaning, your Net (take-home) pay is less than it should have been throughout the year. So, a smaller refund just means you kept more of that money in your take-home pay throughout the previous year. While some think receiving less money each paycheck sounds like a lose-lose deal, remember, you won’t owe that large chunk of change when you file. We’ll clarify with an example, assuming everything has stayed exactly the same for our filer, Peggy. When we say exactly the same, we mean her pay hasn’t changed in a few years (we know that’s not realistic but bear with us for simplicity), moved, bought a car, gotten married, had children, etc. Peggy is killing it right now and sees no reason for change anytime soon! Let’s say she’s filed single with one dependent (herself) since she began working. 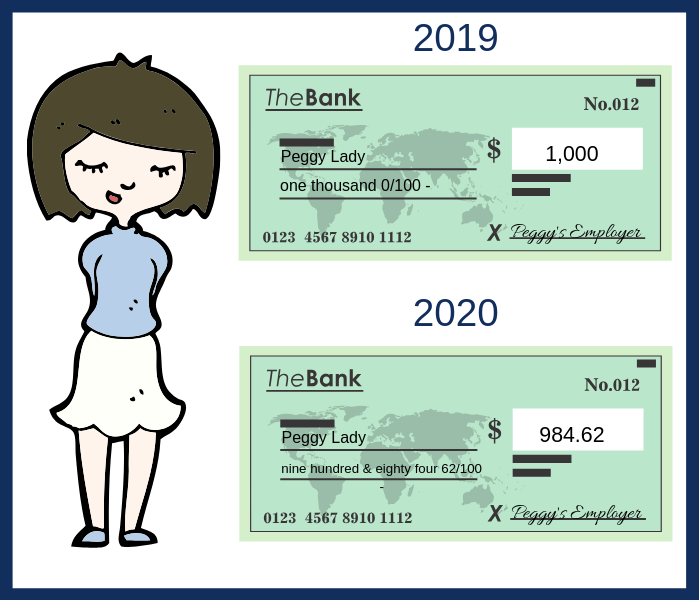 In 2019, Peggy owed $400 to the IRS after filing. Under this new method, if Peggy does her research and fills out her W-4 flawlessly (go Peggy), she would have had that $400 deducted from her paychecks throughout the year. Assuming she gets paid Bi-weekly, with 26 paychecks a year, that would be $15.38 less on each paycheck than the year before. So, although she may have to adjust her monthly budget, she won’t have to save extra money to pay that tax return! Questions? Find a Great CPA! The IRS has already warned this new version is not as user-friendly as forms past, which is why they always request feedback from the public. If crunching numbers and tax jargon is not your cup of tea, find a great CPA – Certified Public Accountant. Although a CPA will cost more than trying to decipher things yourself, think of it as insurance. You’re paying a professional to ensure your W-4 is 100% correct. Paying a CPA is more predictable and much less stressful than an incorrect filing and owing money to the IRS. While we’d love to be able to help, remember, Journey is not a CPA firm! We cannot advise you on how you should fill out your W-4 or how it will impact your tax filing. We recommend finding a CPA familiar with your type of filing – i.e., 1099, self-employed, joint filings, etc. We have many wonderful CPA partners, so reach out if you need a referral! 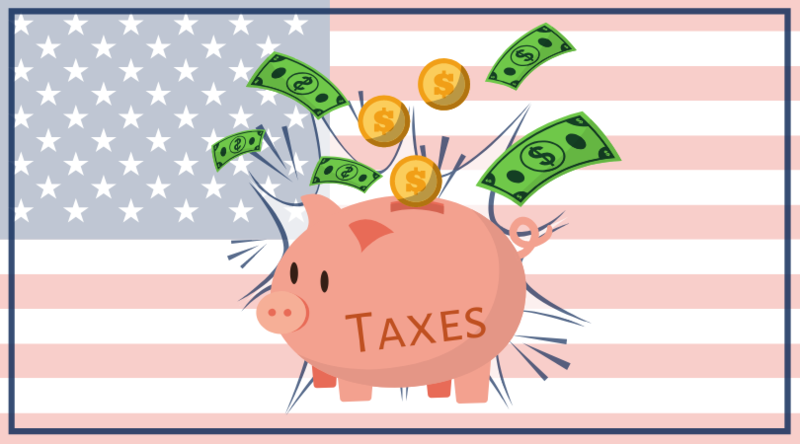 The IRS plans to officially roll out the new form in time for the 2020 tax year. The new form is admittedly more complex and challenging than the current W-4, so find a great CPA to help you! Keep your 2019 Pay Stubs and all past W-4 and W-2 information to help fill out the new Form W-4! Double check your current filing status and what it should be – this will help you estimate how much of a change to expect. The IRS has a “paycheck checkup” with a withholding calculator to make sure you’re on the right track.